When I first started Jiu Jitsu September 5th, I weighed around 178 pounds. No one believed me. I've always carried my weight rather well, mostly in my hips and thighs, but at 5'5" I realized I could probably stand to be a little healthier. I was playing rugby, although admittedly sporadically and I wasn't eating particularly well although did I cook the majority of my meals once I decided to stop eating fried chicken every day. 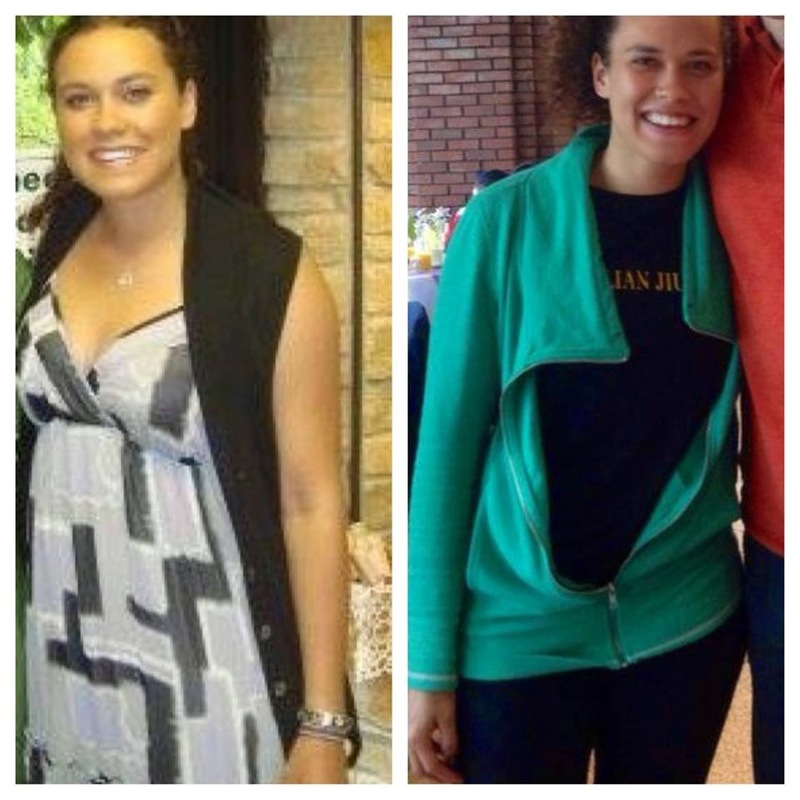 My weight loss was minimal, until I increased my training to four days a week. At one point in my training, I got an ulcer and was unable to eat the foods I had been eating before. This was really a blessing. After I was medicated and it healed, I realized that many of the dietary choices I had made, had direct correlations to my own health issues. I was tired all the time because I was eating garbage and I was drinking so much that I was inconsistent with training and would be too hungover to attend practices.Being around people who were much healthier than I was, was a bit of a wake up call. No one else was eating take out everyday, people were making smarter choices and it started to rub off on me. The more I went to class, the more I wanted to make sure I never had a reason to miss it. 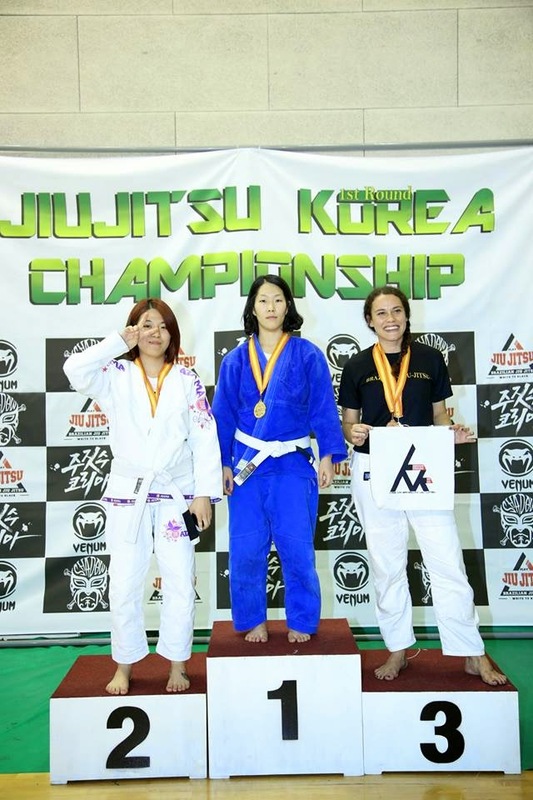 I drank less and I ate better and as a result I performed better on the mat. Weight was not my only concern.I have had high blood pressure since I was 14 years old (it runs in my family) and I have been on medicine for it, for the better part of my life. This year when I went to the doctor he told me "your blood pressure is in stroke territory, there is no way it should be so high." Just hearing the word "stroke" made me nervous. 27 years old and otherwise healthy, it seemed inexcusable.When I made a conscious decision to start eating better, in order to train better, that changed. I told my doctor I would discontinue my medicine (of course he encouraged me against it, but said we would keep a close monitor on it). After months of consistent training I went to have my bi-annual full physical test with my doctor. I saw his eyes widen, he checked and re-checked my blood pressure before telling me "It's 90/68 that is amazing." Of course eating more fresh food helped, but it also revealed a theory my mother has had about me for a long time. She said my BP was also weight sensitive and losing about 10-15 pounds would probably help. She was right. In my first tournament I competed at +79 kilos (174 pounds and up), in my second tournament -74 (163 and below) and my most recent tournament was -69 (152 and below). I currently weigh in (without gi) at around 148 pounds. That is a loss of 30 pounds during my time in Korea. I am still trying to figure out what my natural weight will be.While, I definitely feel better in my clothing I am less concerned with the superficial aspects. In general, I feel much better, my blood pressure is finally normal, I don't feel dizzy all of the time like I used to, I have more energy, I've gotten faster on the mat, I am more focused and enjoy training so much more when I am giving my body the proper fuel (other than the 1 or 2...or 12 cupcakes I may consume any given weekend!) On top of it all...my abs are awesome right now and I am not ashamed to say it! I don't obsess over food, I eat what I want but I eat smarter, train harder and appreciate the fuel I'm giving my body. When I go on vacation I pack a Gi and I train where I can. Jiu Jitsu has surely given me some physical benefits, but I must say it has also really improved the overall quality of my life.I have found something that makes me feel committed to being as healthy as I can and treating my body so much better than I used to. 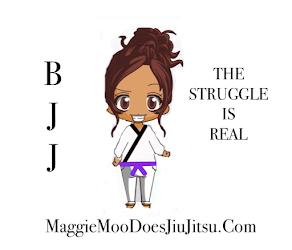 Thanks Jiu Jitsu, I'm indebted to you!